With the increasing popularity of blockchain technology, All Sports public blockchain hopes to fill in the blank of blockchain application in sports industry through blockchain technology, which is a sun-rising industry all over the world. What we want to create is a decentralized, globalized, infiltrated into sports industry chain, shared by both parties and value co-created. 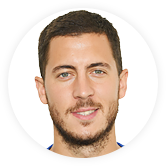 Eden Hazard is a Belgian professional footballer, who currently plays for Chelsea in the Premier League. He is also the captain of the Belgian national football team. He is the core player both in the club and the national team. 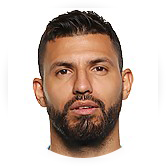 Aguero is an Argentine professional footballer who plays as a striker for Premier League club Manchester City and the Argentine national team. His market value is €80 million at this moment. Messi and Aguero have been regarded as the best partners for Argentina during the last 10 years. He is Manchester City's greatest striker with a record of 199 goals. He has won Premier League chanmpions for three times. In the season of 2014-2015, he was named Premier League Player of the Season. 2018 Q1 Completion of underlying structure design. Secure more than one partners for SOC for using and consumption. Develop and improve the platform and relative application for sports entertainment platforms. Increase incentives for the support of the underlying system. 2018 Q2 Complete the SOC’s opening and thus increase relative incentives in society, etc.. Start the development of sports entertainment application in order to promote a wider scale of sports entertainment. Secure business partners. 2018 Q3 Beta version of the sports entertainment platform goes online and starts testing. 2018 Q4 Completion of public blockchain development and beginning of testing. 2019 Q1 Completion of relocation of public blockchain. 2019 Q2 Completion of development of sports prediction entertainment platform. All Football is the world's largest and most active football media and community. More than 50 million football fans worldwide gather in All Football. At present, All Football have released the English and Spanish versions, after which will also publish more than 20 languages including Portuguese, French, Italian, German, Russian, Japanese, Indonesian and Thai.